While Gwangi began as a unfulfilled project by Harryhausen's mentor Willis O'Brien, Harryhausen himself had dream movies that were never made. 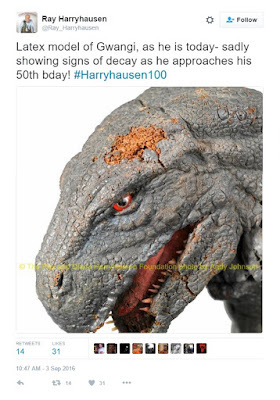 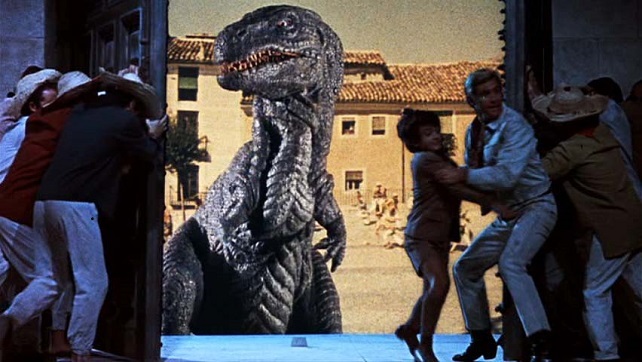 Here is some test footage from Harryhausen's ambitious but unrealized dinosaur epic Evolution. 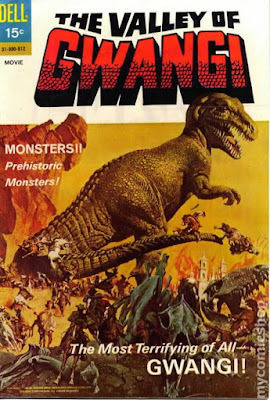 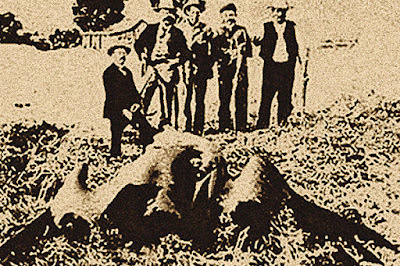 This truncated version of The Ghost of Slumber Mountain, another early O'Brien effort, includes what might be the first cinematic battle between a T-Rex and a Triceratops, a scene echoed in Gwangi's battle with a Styracosaur.